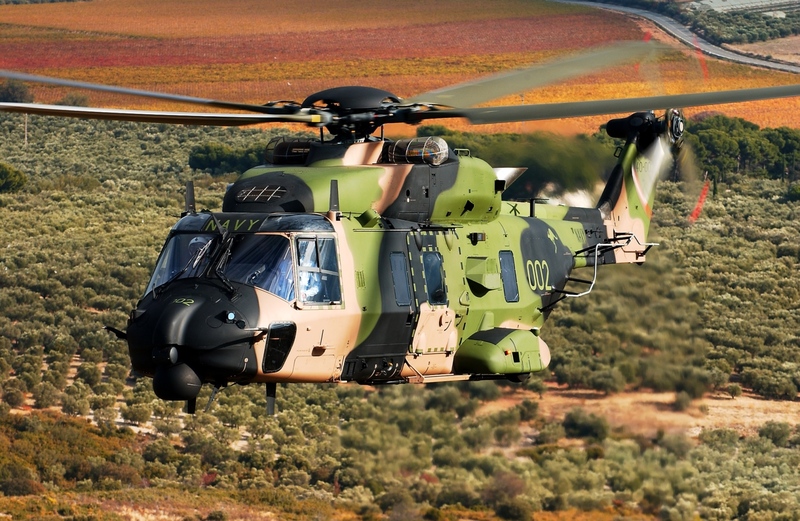 Leonardo and the Australian Ministry of Defence agree to establish a helicopter transmission repair and overhaul facility in Melbourne capable of servicing MRH Taipan, foreign NH90 and certain civil helicopter main gear boxes. Planned to be set up into an existing facility of Leonardo and to commence operation in mid-2020, the center will employ at least 12 technical staff for 30 years or more. Minister for Defence Industry, the Honorable Christopher Pyne MP, congratulated Leonardo and its local subsidiary, Leonardo Australia, for committing to the establishment of this strategically important regional center of excellence. “Establishing this repair and overhaul facility locally means less reliance on foreign support for our MRH Taipan helicopters, and the same for certain local civil helicopter operators,” Minister Pyne says. “The Turnbull government is investing, along with Leonardo, in a defence capability enhancing facility whilst also creating new high-skills employment opportunities. The federal government is investing around $16 million in the facility. The investment will be repaid through reduced MRH Taipan sustainment costs over the remaining life of the helicopter fleet. A similar amount is also being provided by Leonardo. “This project is a true win-win situation for both Defence and local defence industry. It creates more defence Industry jobs in Victoria and will lead to greater helicopter availability for operations,” Minister Pyne says. Acquired in 2006, the fleet of 47 MRH Taipan helicopters, a dedicated variant of the NH90 for the Australian armed forces for both land and maritime operations, will next year commence replacing Black Hawk in the 6th Aviation Regiment in Sydney, where they will gradually take over the role of aviation support to counter terrorism. Establishing a local repair and overhaul facility will contribute to greater helicopter availability for this critical national security mission. This latest step by Leonardo reflects a strong commitment to positioning the customer at the core of any activity undertaken by the company, from design to through life cycle support. As the designer and manufacturer of transmission components and main gear boxes for all the NH90 helicopters of any customer worldwide, the opening of a dedicated MRO centre for the Australian fleet is also a strong recognition of Leonardo’s established expertise in support services on core and critical technologies.